Sandhiprakash (Sandhi) Bhide is the President of Anwaya Consulting LLC which specializes in consulting and advising Internet of Things (IOT), private equity, hedge fund, and other financial institutions and as well as other professional consulting firms on IOT and digital transformation. Most recently, Sandhi worked as the Director of Innovation/CTO/GM of a $2M internal IOT platform startup at Intel. He developed key strategies beyond product group roadmaps, and advised executive staff on future opportunities and investment areas. He has 35+ years of recognition as an innovator/visionary in leading the strategy, development, implementation of new innovative and profitable products/businesses through acute understanding of the interplay between technologies, UX, and innovative business models. He is considered a recognized expert on Multimodal and Adaptive Interfaces, Context-Aware Computing, Sensors, and end to end IOT systems (semiconductor, platforms, ecosystem, energy harvesting, value chain, AL/ML/DL, analytics, security, UX and other technologies) and digital transformation. His recent focus areas are: IOT and smart (cities, lighting, homes, buildings, retail, offices, healthcare, industrial, energy etc. ), wearable and ambient computing, smart/advanced sensors, M2M, & Smart Objects/nodes. Sandhi has BE in Electronics and Telecommunication from University of Pune, India, MS in Computer Science from University of Wyoming, and Executive MBA in strategic management from University of Oregon. He is a sought out speaker at many IOT conferences worldwide and holds several patents in IOT and high tech. He is also a founder, coordinator, singer of “Soor Aur Saptak™” (Notes and Octave) Bollywood Music Charity Group which has raised over $110K over six years through benefit concerts for the Seva Foundation (Berkeley, CA) to help restore eyesight to hundreds of blind/visually impaired/financially disadvantaged pediatric patients in rural India. Joanna Bryson is an Associate Professor (Reader) at the University of Bath. Bryson’s first and third degrees were in Psychology (Chicago, Edinburgh), while her second and fourth were in Artificial Intelligence (Edinburgh, MIT), so she approaches AI from the perspective and for the purpose of understanding human behaviour. Before her postgraduate education she did programming and system administration in Chicago's financial industry, and has since consulted for a number of companies on AI, notably LEGO. 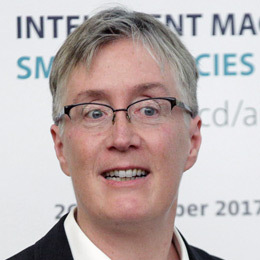 Bryson has worked off and on in AI ethics since 1996, and helped author the UK research councils’ Principles of Robotics in 2010. In the last two years she’s consulted to the Swiss National Science Foundation and the Canadian Institute for Advanced Research on researching the impact of AI on society, the Red Cross on autonomous weapons, Chatham House on the impact of AI on the nuclear threat, and the British Parliament, the British Financial Conduct Authority, the European Parliament and Commission, the Council of Europe, and the OECD regarding the regulation of AI. 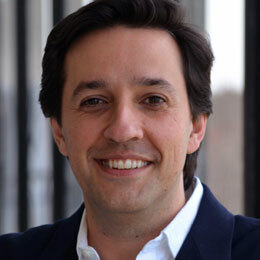 Dr. Dario Gil is the Director of IBM Research, one of the world’s largest and most influential corporate research labs. 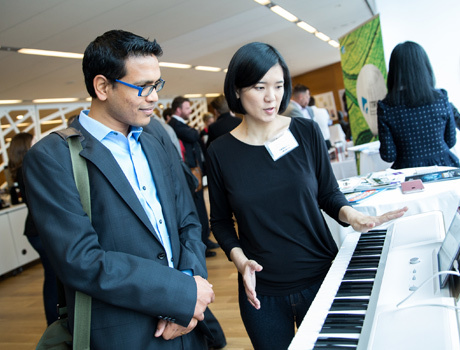 The research division of IBM is a global organization with over 3,000 researchers across 12 laboratories and 21 locations devoted to advancing the frontiers of information technology. He is the 12th Director in its 74 year history. 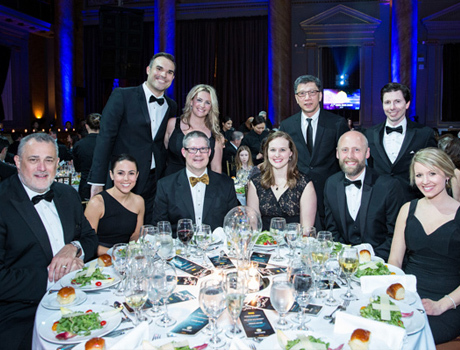 Prior to his current position, Dr. Gil was the Chief Operating Officer of IBM Research and the Vice President of AI and Quantum Computing, areas in which he continues to have broad responsibilities across IBM. Under his leadership, IBM was the first company in the world to build programmable quantum computers and make them universally available through the cloud. A passionate advocate of collaborative research models, he co-chairs the MIT-IBM Watson AI Lab, a pioneering industrial-academic laboratory with a portfolio of more than 50 projects focused on advancing fundamental AI research to the broad benefit of industry and society. Dr. Gil received his Ph.D. in Electrical Engineering and Computer Science from MIT. Nigel Hook founded DataSkill in 1981, with a vision to create skills to pioneer extraordinary value from data. Today DataSkill’s Acumi AI solutions solve the toughest problems in Healthcare, Financial and Power industries. DataSkill is an IBM Platinum Partner and delivers cognitive solutions to solve the most vexing problems with an ensemble of AI technologies. Growing up by Bletchley Park, Hook’s early career was inspired by Turing and led to his BSc in Computer Science from Staffordshire University, followed by an MBA. Hook’s passion for motorsports and love for the ocean ignited his racing career covering 25 countries on 5 continents winning three World Championships. He is the captain and co-founder of SilverHook Powerboats and currently races the 77 Lucas Oil SilverHook 48GP in Superboat Unlimited. This has proved to be a perfect platform for pioneering Acumi AI technologies with Watson IoT to predict and prevent problems while persisting peak performance. Hook recently set a Guinness World Speed Record from the US to Cuba. Dr. Jennie C. Hunter-Cevera is the Senior Consultant for Hunter-Cevera and Associates and CEO of a new company focused on sustainability in soil, plants and human health called SacroNatura. Before that, she was the Provost at Mount St. Mary’s University, the Acting Secretary of Higher Education at the Maryland Higher Education Commission and the Executive Vice President of RTI International, a non-profit research institution. She brings 22 years of research leadership in the pharmaceutical/biotechnology industry, five with the Department of Energy, ten with academia and three with a government contract research non-profit institution. She has performed basic, applied and translational research, published scientific papers, and has more than 15 patents focused on screening for microbial products and processes. At RTI, Dr. Cevera was responsible for directing R&D activities for its Discovery and Analytical Sciences Division, which has six key areas of focus: Drug Discovery, Environmental and Industrial Sciences, Advanced Analytical Science, Forensic Science, Microbial Systems, and Molecular, Epigenetics, Genomics, Environment and Health and the Center for Agriculture and Environmental Biotechnology. Her current research focus is on microbial forensics, chemical signaling and metabolomics of microbial communities. 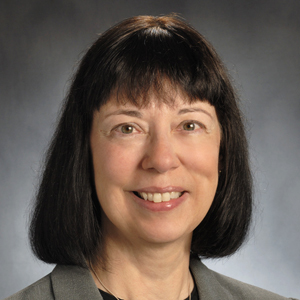 Prior to joining RTI, Dr. Cevera served for ten years as President of the University of Maryland Biotechnology Institute, which focused on applied research in medical, agriculture, biocatalysis, structural biology and marine biology. She received her undergraduate (biology) and Master's degrees (microbiology) from West Virginia University and earned her Ph.D. in microbiology from Rutgers University. 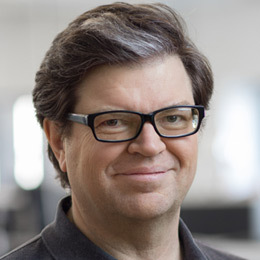 Yann LeCun is VP and Chief AI Scientist at Facebook and Silver Professor at NYU affiliated with the Courant Institute and the Center for Data Science. He was the founding Director of Facebook AI Research and of the NYU Center for Data Science. He received an EE Diploma from ESIEE (Paris) in 1983, a PhD in Computer Science from Université Pierre et Marie Curie (Paris) in 1987. After a postdoc at the University of Toronto, he joined AT&T Bell Laboratories. 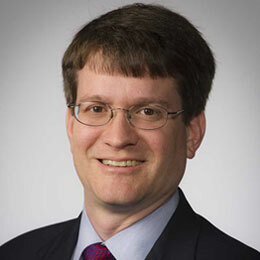 He became head of the Image Processing Research Department at AT&T Labs-Research in 1996, and joined NYU in 2003 after a short tenure at the NEC Research Institute. In late 2013, LeCun became Director of AI Research at Facebook, while remaining on the NYU Faculty part-time. He was visiting professor at Collège de France in 2016. His research interests include machine learning and artificial intelligence, with applications to computer vision, natural language understanding, robotics, and computational neuroscience. He is best known for his work in deep learning and the invention of the convolutional network method which is widely used for image, video and speech recognition. 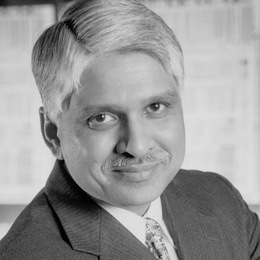 He is a member of the US National Academy of Engineering, the recipient of the 2014 IEEE Neural Network Pioneer Award, the 2015 IEEE Pattern Analysis and Machine Intelligence Distinguished Researcher Award, the 2016 Lovie Award for Lifetime Achievement, the University of Pennsylvania Pender Award, and honorary doctorates from IPN, Mexico and EPFL. Bob Maughon is the R&D Vice President for Packaging & Specialty Plastics and Hydrocarbons at The Dow Chemical Company. Prior to this role, he was the Senior R&D Director for Dow Pharma & Food Solutions in the Functional Materials Business Group. 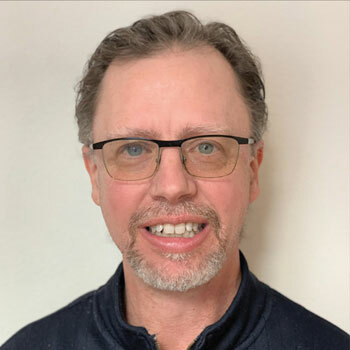 Bob began his career with Dow in 1998, working in the Central Research laboratories on a variety of programs ranging from heterogeneous hydrogenation catalysis, ring opening polymerization and homogeneous catalysis. In 2004, he assumed leadership for the chemical feedstocks research area focusing on breakthrough technologies for utilization of methane and coal as Dow feedstocks for olefins. 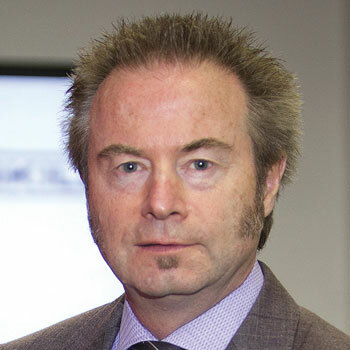 He subsequently became the Technical Leader for the Catalytic Chemistry group of Core R&D in 2005. In 2006, he was named the Director of Inorganic Chemistry & Catalysis, where he was responsible for leading inorganic chemistry, homogeneous and heterogeneous catalysis, and high-throughput research with responsibilities for the development of new technologies for chemical and renewable feedstocks and advantaged catalytic processes. From 2008-2010, he served as the Lead R&D Director for the Hydrocarbons and Energy Business. He is Director and President of Dow International Technology Corporation and Director of the Union Carbide Polyolefins Development Company, Impact Analytical, and the Council of Chemical Research. He also serves on the University of Michigan Engineering Advisory Council. 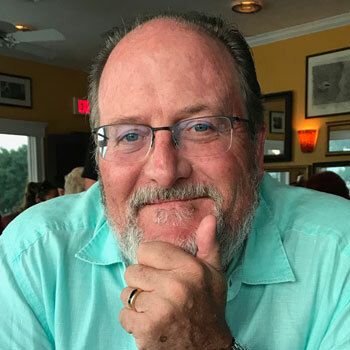 Bob earned his bachelor’s degree in Chemistry from Rice University in 1993 and his doctorate in Organic Chemistry from the California Institute of Technology in 1998. Kevin McGinnis is leading the Keystone Community Corporation, a nonprofit organization leading the effort to build an innovation district in Kansas City, MO. Built on the tenets of placemaking, community development, urban revitalization and inclusive prosperity, the Keystone Innovation District will serve as a catalyst for economic growth in the Midwest. Home to regional anchor institutions, corporate innovators and entrepreneurs, the district itself will be a “living laboratory” bringing the future of the built environment, mobility solutions and connected communities to life through collaborative scale of the research and innovation community. 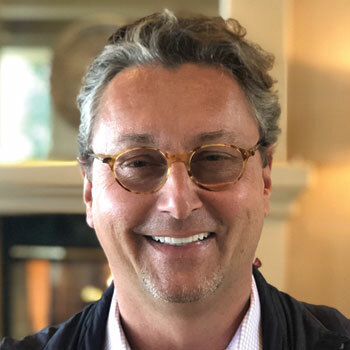 Prior to taking on a long-term economic development project like Keystone, Kevin served as the chief executive officer of Pinsight Media, a big data and mobile advertising subsidiary of Sprint. He was also founder and managing executive of the Sprint Accelerator, a corporate accelerator and entrepreneurial center located in Kansas City’s Crossroads District. 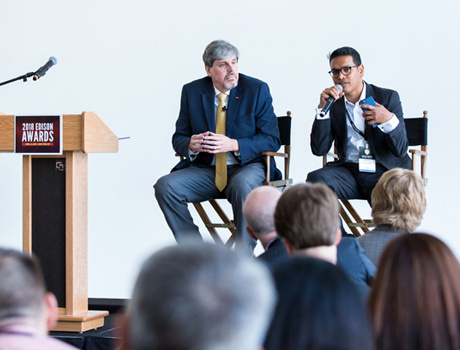 In his 20-year career at Sprint, Kevin has performed in a multitude of functions at various stages of new and emerging businesses – ranging from long distance in the 90s, to Sprint’s partnerships with cable companies, early product innovation leveraging the Internet to its current venture in wireless. His last role prior to leading the spin out of Pinsight Media was as vice president of product where he oversaw all of Sprint’s product platforms and operations. This range of experience has established Kevin as a thought leader in the communications and digital industry. Don McMillan has a Master's Degree in Electrical Engineering from Stanford University. He was a member of the design team on the world’s first 32-bit microprocessor. He went on to become a founding member of the startup company: VLSI Technology. Then in 1993, he was the $100,000 Comedy Grand Champion on "Star Search". He's performed on "The Tonight Show", HBO, and ALL over the Internet. His unique act combines smart comedy observations with his one-of-a-kind PowerPoint presentation. 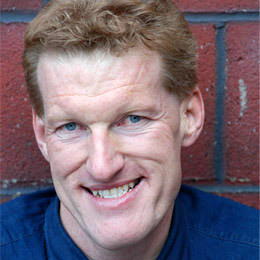 Don spends most of his time writing and performing customized corporate comedy shows for companies like Google, Apple, IBM, Ford and ExxonMobil. He has performed more than 800 corporate shows in the last 25 years and he was named the #1 Corporate Comedian by CBS Business Network. 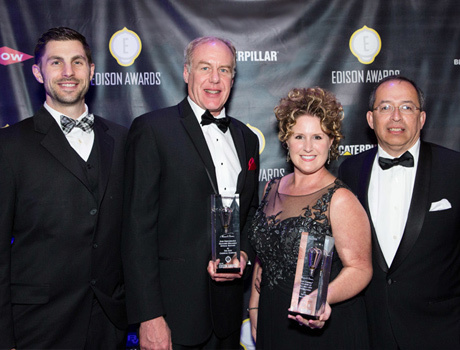 Ed Nortrup is a Principle at i3Ops, an Edison Award Winner. Ed has been a technologist and a technology company executive for 20 years. 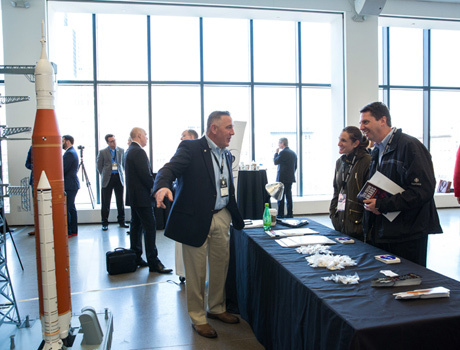 Ed serves as a Board Member, Board of Advisor, Counsel, and Principle in a number of technology companies. As a lawyer, he has had a long practice in Intellectual Property law, including data and privacy. As a technologist, he has developed technologies in fields including lighting, mobile advertising, augmented reality, blockchain, and artificial intelligence. As a business executive, he has served to bring a new technology company public, completed over $1b in IP related transactions, and led young companies through the early phases of life. Clint is the father of three publicly educated girls; a recovering school board member; and a registered professional engineer in a global engineering corporation. Individually none of these accomplishments are significant but in concert they are a powerful force towards better connecting education and business. Clint is the great grandson of one of the first three professors at the University of Kansas teaching Greek and Latin back in 1865. He is also the great grandson of an attorney that made elixir in his basement and founded the Burma Vita Corporation. This company was responsible for one of the most successful advertising campaigns with roadside jingles for the first brushless shaving cream, Burma Shave. It is not surprising then that Mr. Robinson has dedicated himself to finding ways to improve education and how we sell it. While serving on the Blue Valley School District School Board he helped create and implement the successful Center for Advanced Professional Studies (CAPS) which revolutionized how business and education work together for a common goal. Now while providing thought leadership in his industry to the U.S. Conference of Mayors and National League of Cities, he is never very far away from the topic of how to create jobs, fill the pipeline, and change the landscape of education forever. His motto is “learn to teach” which means 1) if you can teach it then you know it, and 2) there is no value in learning something if you are not willing to teach it to someone else. 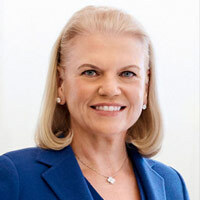 Since becoming CEO in January 2012, Ginni Rometty has led IBM through the most significant transformation in its history, reinventing the company to lead in the new era of AI, blockchain, cybersecurity and quantum technologies, all delivered on IBM’s enterprise-strength cloud platform. Today, IBM is the world leader in AI and cloud computing for business, underpinned with trust and security. As President/CEO of Hydra-Stop, Chris oversees all management including Manufacturing, Supply Chain, Engineering, Quality, Marketing and Sales. 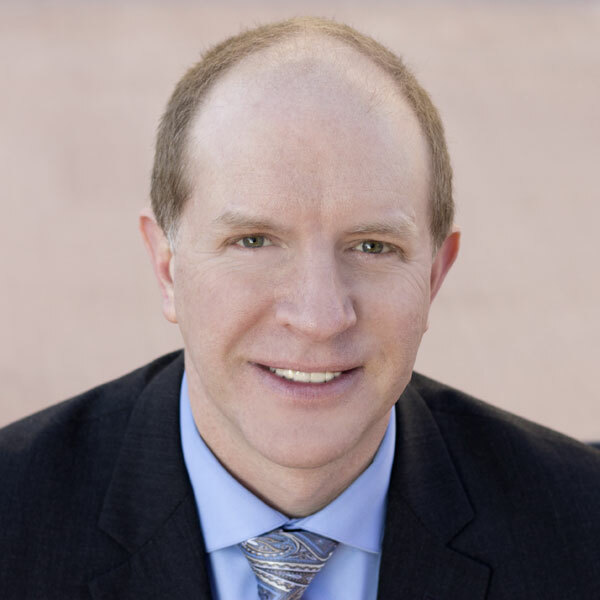 Prior to joining Hydra-Stop in 2013 as Vice President/General Manager, Chris has held numerous executive positions with Fortune 500 companies in Manufacturing, Supply Chain, Asian Operations, Lean and Strategy. Chris’s most recent position was the Vice President of Lean Operations and Corporate Director of Supply Chain at Klein Tools. 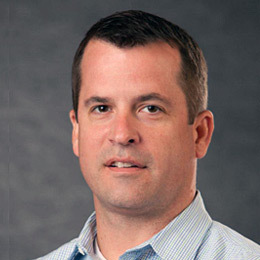 Chris has a Mechanical Engineering degree from University of Illinois and graduated from GE’s Corporate Management and Six Sigma training programs. Chris enjoys the process of invention and has several US Patents. Diana is the Director of Project Strategy in Virgin Hyperloop One’s Projects team and leads strategic company initiatives related to project and regional opportunities, analyzing critical decisions on project development to achieve commercialization goals and identifying key risks. 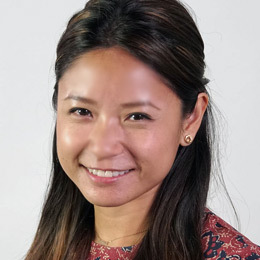 Prior to joining Virgin Hyperloop One, Diana was a strategy and management consultant at Oliver Wyman in New York, where she advised private sector companies and governments around the world on business and corporate strategies, risk and economic modeling, planning and operations, product development and market entry decisions, and strategic and regulatory trends. She is also a member of the Global Shapers community, an initiative of the World Economic Forum. 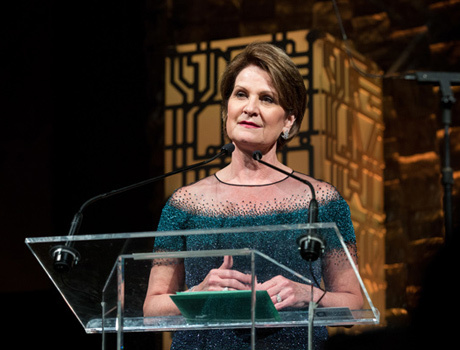 Diana holds an MBA from the Wharton School of Business at the University of Pennsylvania and an MPA-International Development from the Harvard Kennedy School, where her focus was on the intersection of business, technology, and economic development. She received a grant from the Harvard Ash Center for Democratic Governance and Innovation for her research on the development of an electric vehicle industry in China. 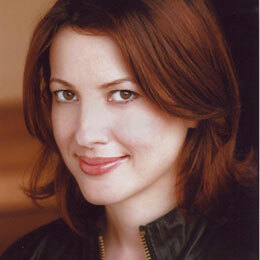 She received her BA in Economics and International Studies from the University of Chicago.